29th June 2014 – There was seasons best aplenty for PACE athletes competing at the Jamaican Championships in Kingston. 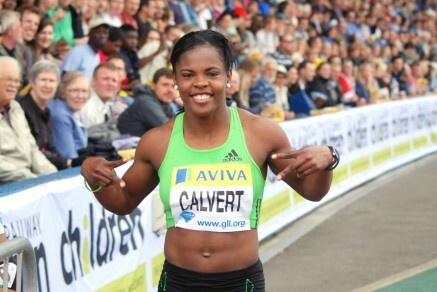 These were led by Schillonie Calvert (JAM) who doubled up with a third place finish in the 100m and second in the 200m. In her 100m semi-final Schillonie ran a seasons best of 11.08 and in her 200m final 22.88. In the mens short sprint Kemar Bailey-Cole (JAM) took third place in 10.16 having run a seasons best of 10.08 in his semi-final and a windy 9.95 in his heat. Kimmari Roach (JAM) took fifth place. Mario Forsythe (JAM) and Rosemarie Whyte-Robinson (JAM) both ran seasons bests in the respective finals as Mario took seventh in the 200m and Rosemarie eighth in the 400m.